World’s Best Cookie Alert! Bake it like NY’s Levain Bakery: a giant, thick cookie, crispy golden brown on the outside with a soft gooey center inside. To die for! 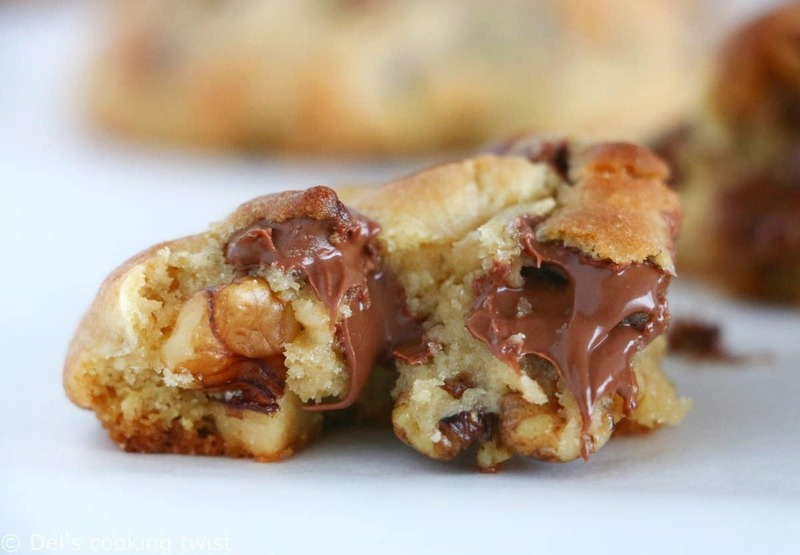 To all cookie lovers, forget all cookie recipes out there; this one is the only one you will ever need in your life. If you have tried the authentic recipe from Levain Bakery in New York City, you know what I’m talking about and I don’t need to say more about it, right? For everyone else who have not been there (yet), be ready for the true cookie experience of your life. This recipe is game-changing, I’m not kidding! I am completely obsessed with Levain Bakery cookies and each time I go to New York City, this bakery is my go-to stop, at least once, often twice during the same trip. You might have seen this little video that I made over a year ago in Central Park, showing you the fantastic inside of the cookie. Isn’t it dreamy just looking at it? I usually do one last stop to the bakery before my trip back home, making sure I bring some fresh ones with me that I then freeze until I can’t resist anymore. You’ve got to deserve such a cookie, so make it count and choose your special occasion. Coming back to the bakery, Levain Bakery is a very tiny shop located in a building basement, with nothing fancy outside that would make you think it is a mandatory stop-over, if not for the long line outside. And if you don’t like waiting outside for a while for a cookie, trust me this one is worth the wait! Once you go down the few steps taking you to the shop, you are immediately overwhelmed by the sweet aromas of the cookies prepared in the back. This is a happy therapy place: everyone comes and leaves with a bright smile, and a giant one-inch thick cookie, slightly warm, gooey inside, and oozing with chocolate. I usually take mine to Central Park or to a tiny café nearby (I keep the place secret for myself, hehe! ), and my guilty pleasure is then to break the large cookie into two equal parts to see this perfect and decadent texture inside. At first bite, you have everything in your mouth: a crispy golden outside, contrasted by this soft gooey inside which is, without a doubt, extremely rich and sweet. I like healthy foods most of the time, but for this cookie, I make an exception. There is no other way to enjoy it. Life is all about balance after all; you’ll eat a salad next time. Since the first day I have tried Levain Bakery Cookies, I have been dying to learn how to bake these awesome cookies myself and share the beautiful recipe with you, so that we don’t need a trip to New York every single time we have a Levain Bakery Cookie craving (it’s a serious addiction, believe me!). Anyway, in the beginning I did my very best to understand what the cookie was made of but let’s be honest, this would have taken me ages to find the right ingredients and proportions. So I checked for the original recipe, and of course it is a well- kept secret. This wouldn’t discourage me and I was ready to give the recipe a few attempts anyway, when I stumbled upon Si, from A Bountiful Kitchen. There are several Copycat Levain Bakery Cookie recipes people tried to recreate over the years after their huge success, but no one came as close as Si. Completely obsessed with these cookies, she spent time watching videos where you see the owner baking them and then watched them again and again, until she finally guessed the right quantities, after giving the recipe a few attempts. She truly did an awesome job and literally nailed the cookies! On her blog, she wrote an extremely long post explaining everything about Levain Bakery cookies, from their creation over 24 years ago by two triathlete/Iron women – Pam McDonald and Connie Weekes – who wanted to create the best cookie in the world (congrats, ladies, you did it!). Si also describes with precision all her observations during her way to recreate the recipe for us, and you will find many useful tips to master yours too. Dream Big! – Levain Bakery’s Cookies are 6 oz (170g) each, which is far more than one can eat, but you can always share with your friends. Or not! Chocolate Chips – the original recipe calls for large milk chocolate chips, which I did in my version here as well. In the end, I think I prefer with semi-sweet chocolate chips or dark chocolate chips (I love dark chocolate). Or just use chocolate chunks! 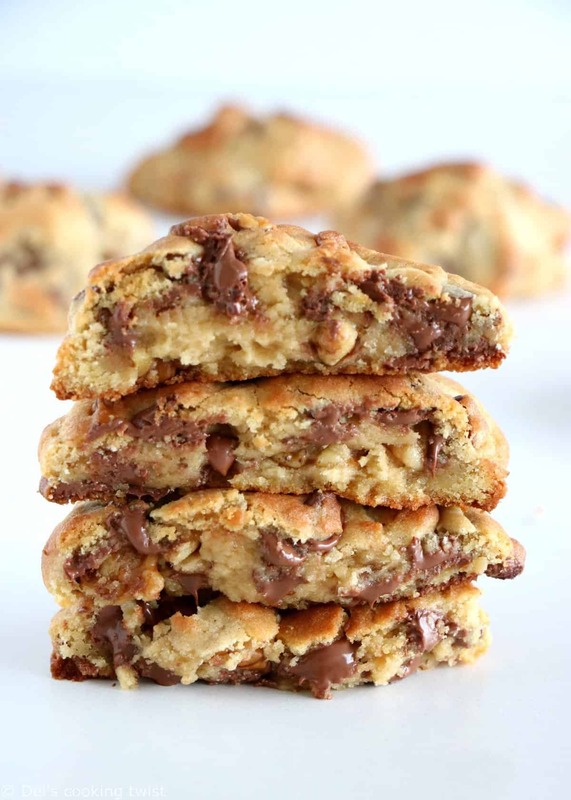 Go nuts – walnuts really made the cookies awesome, bringing a perfect nutty and crunchy texture at the same time. Do not chill the dough – I mean, you could if you would like to, but I don’t find it necessary here. Silpat vs parchment paper – unlike Si, I found that my cookies kept their shape much better when they are baked on parchment paper instead of a silicone mat (Silpat). Cool onto the baking sheet – unlike other cookies, you don’t need to transfer them to a cooling rack to cool completely. Just leave them on the baking sheet and it will be just fine. 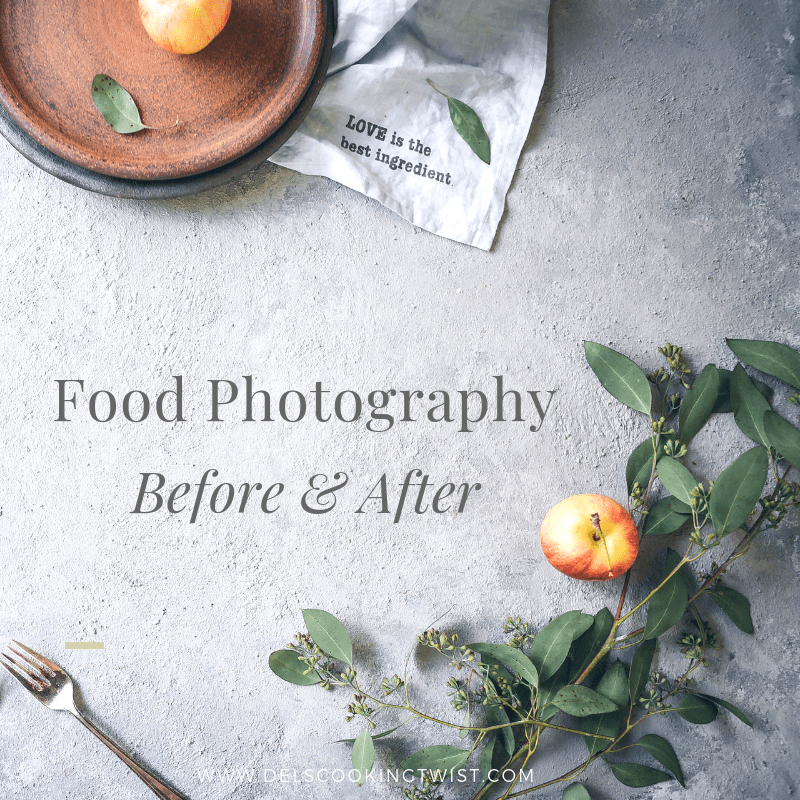 One of the secrets that make the texture perfect – besides the enormous quantity of butter (yes, I know, I know…) – is the use of cake flour. Si suggests a few versions with or without cake flour, which is indeed not easy to find in every store. To make it easier for everyone and because I truly believe that the ratio all-purpose/cake four really makes the difference over the use of all-purpose flour only, I am sharing with you in a recipe note how to make your own cake-flour mix, which is incredibly easy indeed and won’t take you long to prepare. It’s also good to know that the Levain Bakery Cookies freeze extremely well. I usually wrap mine in a ziploc bag once they have cooled enough, making sure they don’t touch each other. And then, when a cookie craving hits, I just remove a few of them from the freezer and either let them thaw at room temperature (this can take a little while) or warm them up in the oven for a few minutes. Some people would tell you to warm them up in the microwave, which you could too but you might lose a bit of the crispy outside which makes this fantastic contrast of textures. Place butter into bowl and turn mixer on low. Add sugars and beat butter until smooth on medium speed, about 1 minute. Add the eggs and beat on medium just until incorporated with butter and sugars, about 30 seconds. Turn the mixer off. Add the homemade cake flour*, all-purpose flour, baking powder, baking soda and salt. Pulse the dry ingredients on low until the wet and dry ingredients are mixed together. 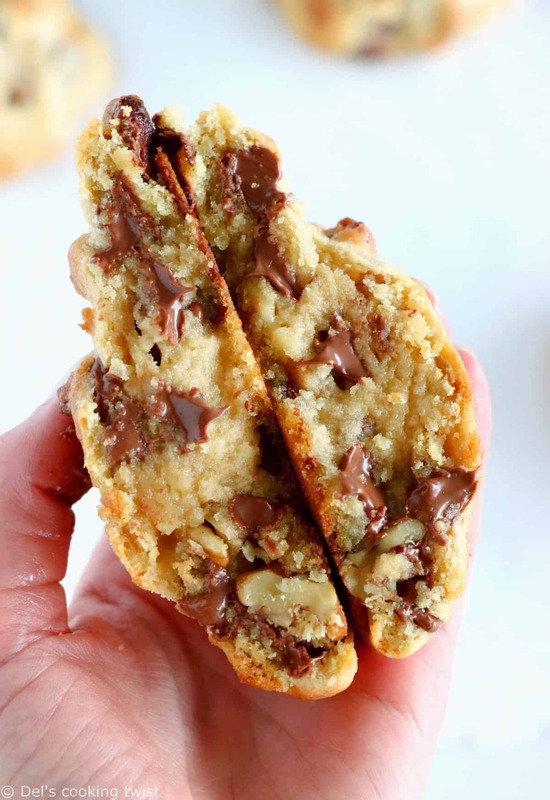 Pour the walnuts and chocolate chips into the batter, and stir with a rubber spatula until spread evenly into the batter. Divide the dough into 8 equal pieces, about 6 oz/170g each (or half of it if you want regular size cookies). Use your hands to shape cookies, not a cookie or ice cream scoop. The cookies are meant to be roughly shaped. Do not flatten the dough. Bake 4 cookies per pan, for 11 minutes. The cookies are done when the top and bottom parts are slightly golden. Do not over bake. Let cool for 15 minutes before serving. * Homemade cake flour: measure 1 cup (120g) of all-purpose flour. Remove 2 tablespoons of the flour, and add 2 tablespoons of cornstarch to the flour. Sift the flour and cornstarch mixture over a medium sized bowl 3 or 4 times. You now have cake flour! 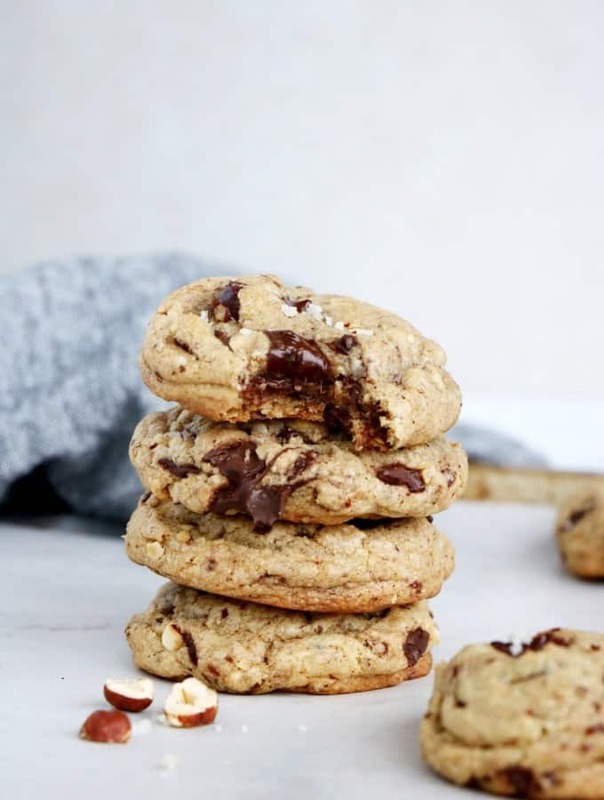 ** The original Levain Bakery Cookie recipe calls for milk chocolate chips, but you could go for dark chocolate chips or use chunks instead of chips. This beautiful Levain Bakery Cookies is suggested by A Bountiful Kitchen. Je te le confirme 😉 Sans aucune fausse modestie, haha! Bonjour Sonia! Il se peut que cela vienne simplement d’avoir un peu trop travaillé la pâte et le beurre ramolli s’est réchauffé. L’idéal est de ne pas trop battre la pâte et de former les boules de pâte très rapidement sans trop les toucher ; on veut qu’elle garde leur aspect rustique. Si toutefois vous constatez que la pâte est trop molle/tiède, placez simplement la plaque avec les boules de cookies au réfrigérateur pendant 20 à 30 minutes. Surveillez ensuite la cuisson de près car vos cookies mettront peut être une ou deux minutes de plus à cuire. Et voilà, de bons gros cookies comme sur les photos garantis. Bien à vous et très bon week-end! Del. ps : et merci de m’avoir signalé cette erreur pour m’envoyer un mail, je vais regarder cela de plus près directement. Bonjour Vivi! Je suis vraiment désolée d’apprendre cela et je partage votre frustration ; il est tellement désagréable de mettre tout son coeur à une recette, d’utiliser des ingrédients bio et de qualité et d’être déçu du résultat au final. Lors d’un de mes derniers essais de réaliser ces cookies, j’ai oublié d’ajouter les oeufs et m’en suis apercue trop tard, j’étais furieuse (voir ma story permanente spéciale cookies sur Instagram où je montre cela en live). Bonjour Nadine. Oui c’est correct, il faut bien 180g de farine + 120g de cake flour (à préparer soit même si besoin). J’ai encore refait la recette ce week-end. D’une simplicité enfantine pour un résultat des plus gourmands ! ils sont méga appétissant, il me tarde d’essayer la recette !!! Je sais, c’est dur de résister! Il y a une solution cela dit: la recette est là et c’est super facile à réaliser 😀 Bisous et merci à toi pour ce gentil commentaire. 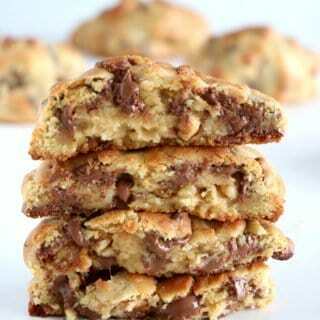 Awesome, I just watch the video and It was very good to see how easy is to make those cookies. Thank you very much for the quick answer to the request. Merci beaucoup, ces cookies ont l’air vraiment délicieux. C’est à mon tour de les faire. bonjour Delphine, cette recette, ces photos ..me font saliver sur mon clavier .. démon tentateur vous êtes !!! Je suis comblée par tant de gentillesse. Merci beaucoup, je suis ravie de vous donner envie de réaliser ces monstres de gourmandises 🙂 Il semble que le oui soit général pour la vidéo, je vais devoir m’y atteler si j’ai bien compris! 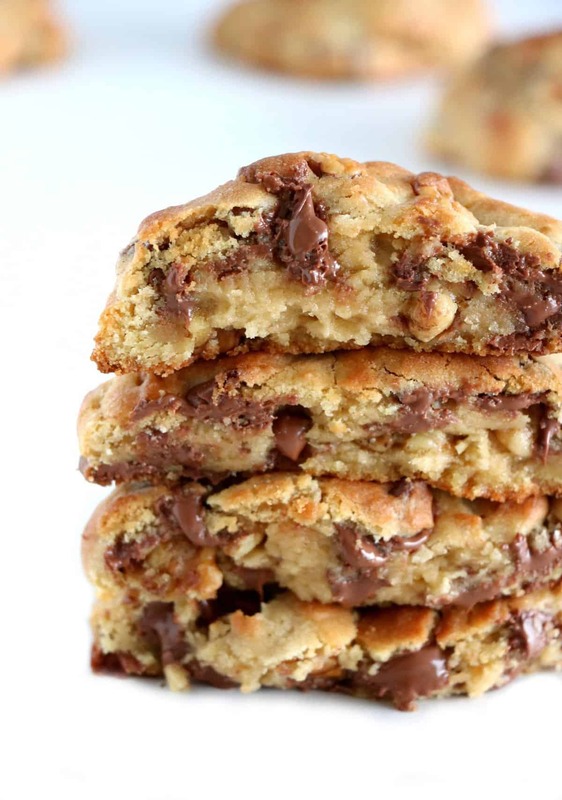 Ohla la… Ces cookies sont absolument décadents ! Comment résister à ce moelleux, ce fondant ? 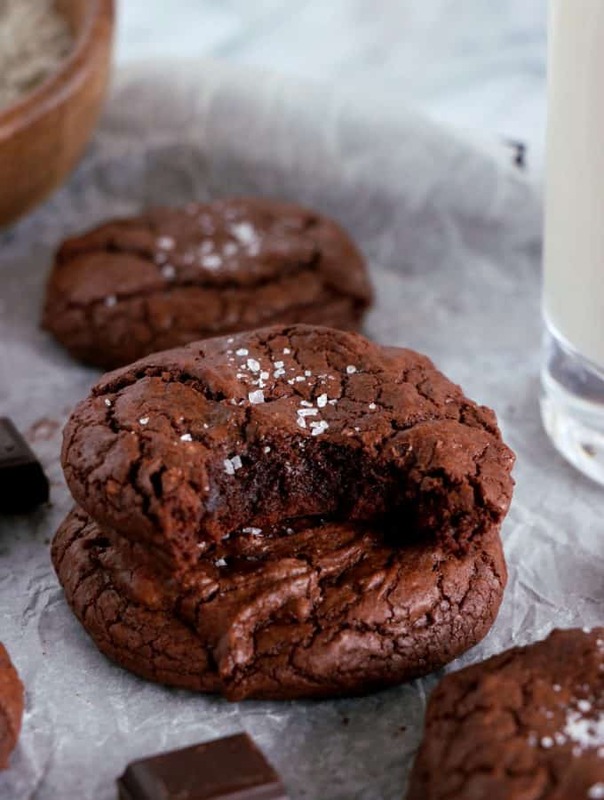 Autant j’adore les cookies croustillants sur les extérieurs et moelleux au centre autant ceux-là me donnent l’eau à la bouche. Tu vois, avant de lire ta belle histoire je pensais que ces cookies étaient fait à base de levain ahah ! Qui sait, ça viendra peut-être ! Je viens de terminer des cookies choco-cacahuètes et autant dire que les tiens me donnent de suite envie d’en refaire ! Eh oui, il n’ont de levain que le nom, mais j’avoue qu’ayant un levain dont je prends soin chaque jour depuis janvier, l’idée est tentante 🙂 Les cookies choco-cacahuètes font toujours partie de mes favoris aussi, il faut que je teste ta version 🙂 Bises et très bon week-end à toi! Une question concernant les 180g de farine que je ne vois utilisés nulle part dans les étapes de la recette. Bonjour Élise ! 6Etes-vous sûre d’avoir utilisé du baking soda (= bicarbonate de soude) alimentaire ? Il y en a deux sortes et il n’est parfois pas facile de s’y retrouver. En utilisant le bon, le goût des cookies n’est pas altéré du tout. Je viens de faire mes petites recherches sur des sites francais et je vois que la Baleine propose du bicarbonate de soude alimentaire, en rappelant les différentes utilisations en cuisine. Je n’ai pas testé moi même mais c’est peut être un produit à considérer. Apparemment on le trouve au rayon sel. Voici le lien vers le site: https://www.le-bicarbonate.com/une-large-gamme-de-contenants-adaptes-tous-les-usages En espérant t’aider un peu dans tes recherches. Bien à toi, Élise ! 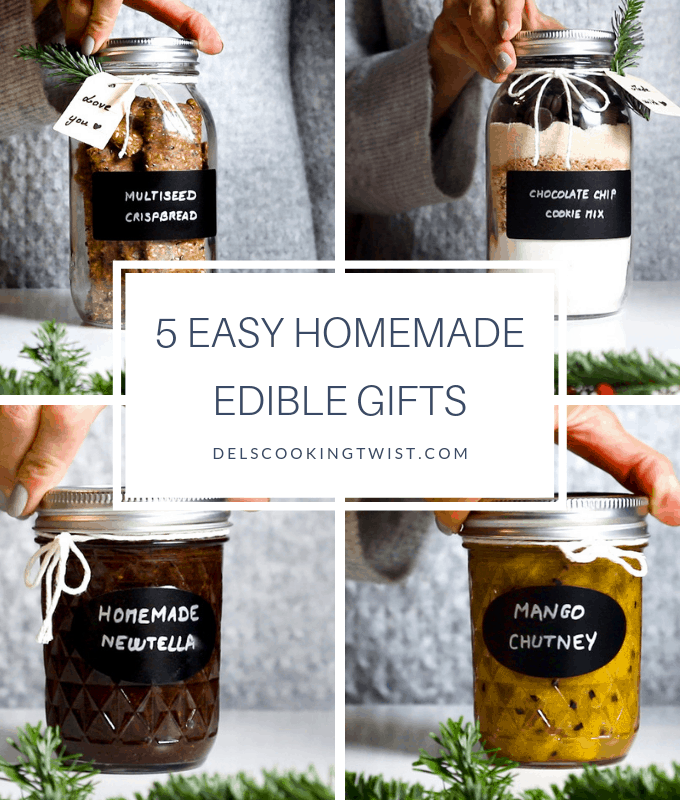 These cookies are simply divine! These cookies were amazing! I don’t understand how you managed to get the outside crunchy with a soft inside so it must be magic. Yes I would like to see a video of the step by step if that means you need make another batch and they will show up in the office!!! Je viens tout juste de réaliser ta recette, les cookies sont encore tièdes. Je n’ai pas pu résister à la faire après avoir vu les photos sur instagram… Et je suis bluffée! Inconditionnelle de cookies j’avais déjà ma recette fétiche, mais elle est détrônée aujourd’hui! Leur goût et leur texture sont vraiment parfaits. Merci pour le partage, et je note l’adresse de Levain Bakery pour si jamais j’ai l’occasion d’aller à New York un jour ;-). Génial ! je vais rejoindre ma fille et ma petite fille à NY début septembre, je sais où nous irons goûter !! et lorsque j’irai ensuite garder 3 mois mes arrières-petits fils à Phoenix, nous ferons ces cookies ensemble ! merci, j’ai déjà l’impression d’être là-bas !! Je suis nouvellement abonnée à ton blog que j’ai découvert il y a peu, j’adore !! Bonjour Delphine, c cookies sont parfait, mais les miens s’aplatissent. Il y a-t-il une astuce? En effet les mien se sont applatis et mon sucre roux était assez granuleux 🙁 ça n’empêche qu’ils ont l’air délicieux, je retente la prochaine fois avec de la vergeoise fine. Merci bcp du conseil et surtout pour cette recette magique! 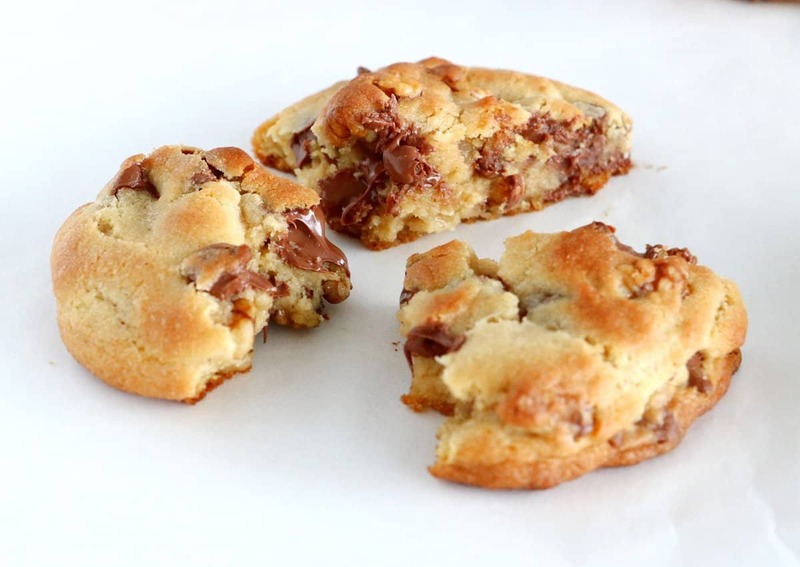 Je viens juste de réaliser la recette, les cookies refroidissent… j’étais allée chez Levain Bakery lors d’un séjour à New-York et il est vrai que ce sont pour moi les meilleurs cookies que j’ai jamais mangés ! En revanche, les miens semblent s’être étalés plus que les vôtres et sont donc plus plats. Une idée ? peut-être la température élevée dans ma cuisine qui avait rendu la pâte avant cuisson déjà très molle ? Merci en tous cas pour cette super recette !!!! Je sens que nous allons nous régaler au dessert ! Thanks so much for the amazing recipe. However, I have followed the recipe closely twice and my cookies spread a lot during the baking process. Do you have any tips? It might be because it is warm inside your house when you prepare the dough. 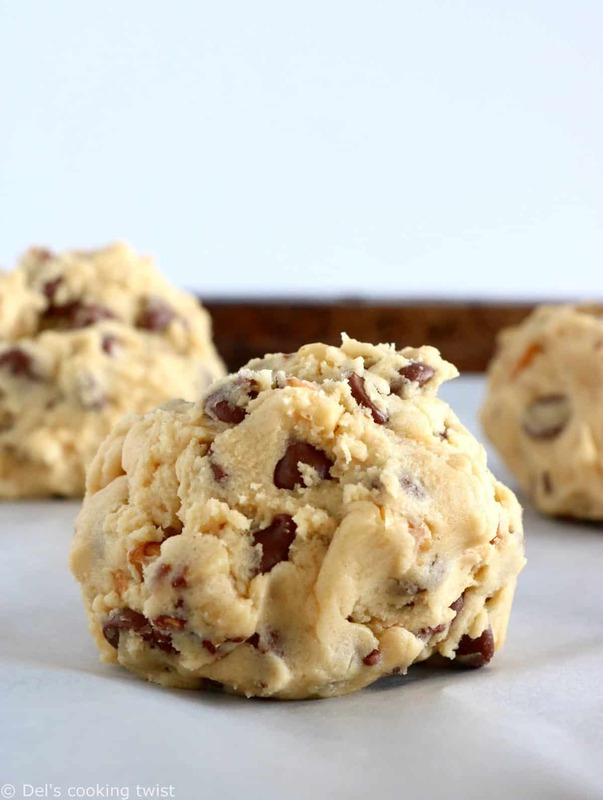 I would recommend to roughly shape the dough into the balls (they should look rustic and unfinished), making them higher than wide on the baking sheet. 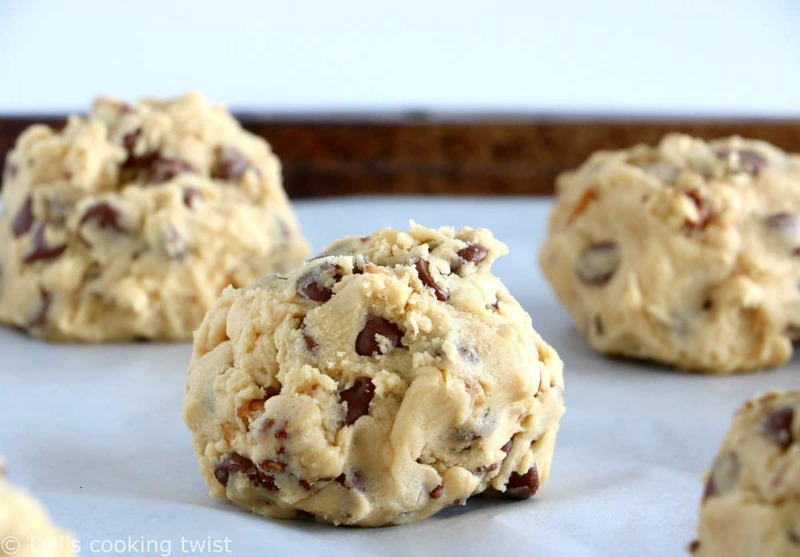 Then try to place them in the fridge until they are not too soft anymore, 10 to 15 minutes, depending on how soft your cookie dough is. Bake, and enjoy! Thanks for a quick reply! Ok I will give that a go. Out of interest do you make your recipe using US cup measurements or do you weigh using grams? Just because I find different conversions of US cups to grams. Alors là , mais quelle recette ! 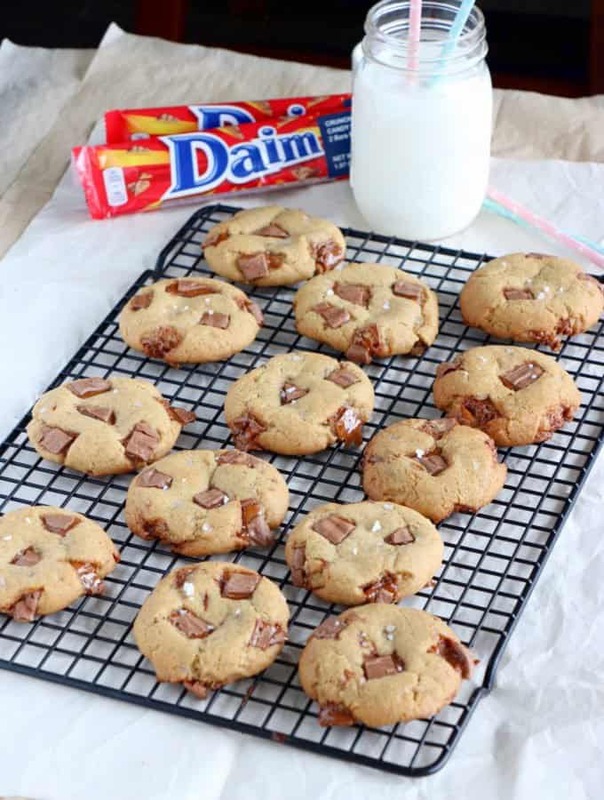 Je cherchais une “ base de recette “ de cookies pour l’ameliorer à ma façon comme j’aime le faire et votre description était sans aucun doute tellement bien écrite que je l’ai faites à la lettre . Eh bien mais quel résultat , je vous felicite , chapeau bas pour cette elaboration parfaite . Je suis egalement tres perfectionniste et obscécionnelle quand j’ai une idée et là c’est tout simplement comme on l’imagine et je n’ai pas goûté ceux de chez Levain Bakery mais dans mon fantasme gustatif ils ne pourraient être meilleurs . Cette recette est incroyable ! Facile et le resulat est un pur délice ! Je ne suis pas super fan de noix du coup j’achète dans un magasin bio des noisettes grillées et des pépites de chocolat noir à 70% j’ai déjà fais la recette 2 fois en 2 semaines :-). Merci beaucoup et félicitations pour cette belle recette. Bonjour Céline et merci beaucoup pour ton petit message. Je suis absolument ravie que tu aies aimé les Levain Bakery et j’adore ton idée de remplacer les noix par des noisettes grillées, c’est décidé je teste la prochaine fois. Quant-aux pépites de chocolat à 70%, il n’y a que ca de vrai pour moi qui suis passionnée de chocolat noir ! Cool tu me diras si tu aimes avec les noisettes. Nous en avons amené au personnel de l’école je pense que ma fille est là préférée maintenant lol ! Donc gardez bien 2 oeufs voir peut être 1 ? Bon, bientôt, un nouvel essai ! Great video. 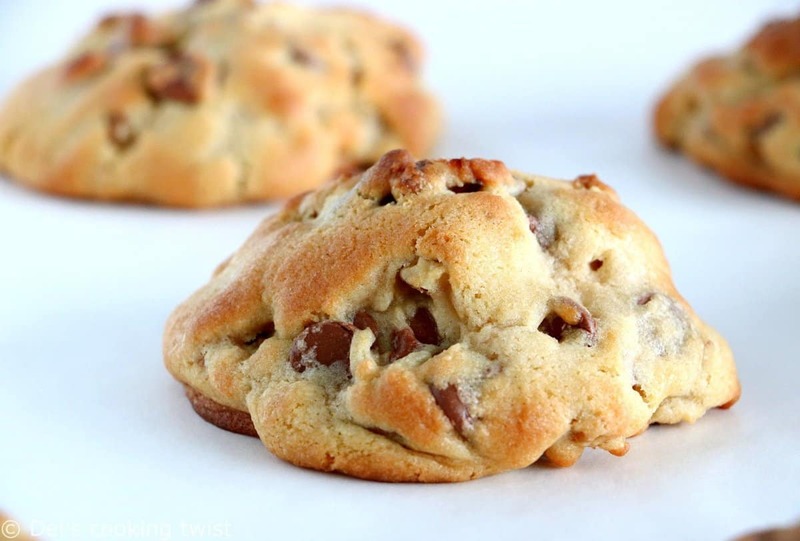 I have made these cookies on three occasions and they always turn out great! I have also halved the recipe and turned out as well. I have never had a Levain Bakery cookie so not sure what to compare them with but I like these as they are not too sweet, super big and great combination of different chocolate. OMG!!! These look absolutely amazing! Got everything I need to do to but them realize I don’t have a hand mixer, is it possible to do it without it? Bonjour, gratitude infinie pour le,partage de cette recette ensorcelante. Cet été j’ai eu la chance de déguster ces cookies qui sont renversants de fourmandise. Levain bakery mérite absolument leur réputation pas du tout galvaudée. J’avais fait une croix sur ce délice et vous voilà avec ce partage généreux et si gourmand. Merci vous êtes un ange pour ce régal et un diable pour les calories. Vive la salade et les cookies ! Je suis allée a New-York cet été,et depuis,je rêve de ces cookies ! Mais aussi de leurs copains tout chocolat, et vêtu aux pépites de beurre de cacahuète. Des idées pour reproduire cela??? En tout cas, merci pour la recette, qu’il va vraiment falloir que je réalise très très vite! Apres des années de recherche (oui oui je n’exagère pas!!!) j ai en fin trouvé “THE recette que j attendais !! tout y est le gout , la texture que je recherchais, le moelleux!!! merci du partage!! par contre j ai une petite question avez vous une astuce pour que mes cookies ne retombent pas? les miens étaient tous plats!! est ce que c’est parce que j ai ouvert mon four afin d y rajouter des morceaux de chocolat,? Merci beaucoup Delphine, trop contente que tu aies toi aussi découvert cette recette. La meilleure du monde à mon goût, mais on est tous différents 😉 Je les ai réalisés ce week-end et ai ajouté ma story dans mon feed insta où j’explique comment faire pour ne pas qu’ils s’étalent. N’hésite pas à aller voir. Pour faire simple, l’idée c’est de ne pas trop travailler la pâte et de faire des boules rustiques plutôt que bien faconnées, plutôt hautes que larges. Et voilà, on obtient de gros cookies généreux qui ne s’étalent pas à la cuisson. Une autre astuce si la pâte est un peu chaude consiste à simplement mettre les boules de pâte une fois formées au frigo 10 minutes. Cela devrait fonctionner sans problème. ou ma niece m’a fait deguster les fameux cokiies de chez levain Bakery je suis d’autant plus ravie de decouvrir la recette que je vais m’empresser de faire , une question cependant que dois je prendre comme farine si je ne trouve pas la flour cake ? Merci de tas reponse. Bonjour Catherine! Je viens à mon tour de consulter son article ; cette femme est géniale, elle a pensé à tout ! Alors voilà, première chose : si on ne remplace pas les noix par autre chose, les cookies vont s’aplatir à la cuisson. Il faut donc créer du volume, en ajoutant et de la farine et des pépites de chocolat. – 700g (!!!) de pépites de chocolat, selon A Bountiful Kitchen, ce qui me semble énorme ! Je ne suis pas très favorable à cette idée et pense qu’il faudrait encore faire quelques ajustements au niveau de la farine plutôt que d’ajouter des pépites de chocolat dans des proportions gargantuesques. N’ayant pas fait le test moi même, je ne m’aventurerais pas à vous conseiller plus en avant pour le moment. Après bien sûr si ce sont les noix uniquement qui vous dérangent (et pas tous les oléagineux), vous pouvez envisager de les remplacer par des noisettes torréfiées par exemples. Quelle recette ! merci pour le partage et la vidéo ! Déçue par cette recette . On sent le bicarbonate dés la première bouchée . Et puis trop de beurre . Les cookies s’etalent au four même après un passage au frais. Ils sont exquis mais du coup très larges et plats ? Est-ce du fait des noix manquantes d’apres vous ? 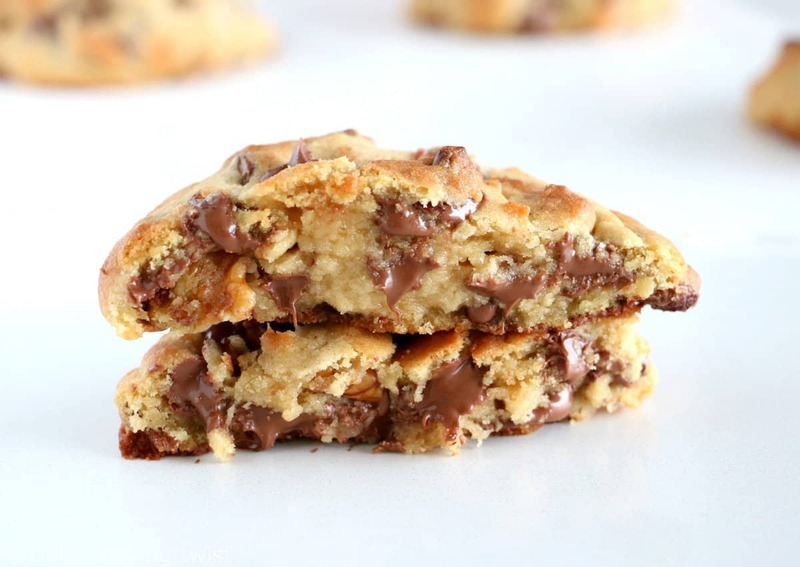 Cette photo de cookies me fait saliver ! J’ai tellement aimé ceux de Levain Bakery lors de mon séjour à NYC en novembre, je vais vite tester cette recette !!! Bonjour! Merci pour cette recette. Je viens de faire ces cookies. Verdict : une tuerie. J ai neanmoins changé quelques petites choses. Je n avais pas de beurre doux j ai donc mis du beurre salé et je n ai donc pas mis de fleur de sel. Je n avais pas de vergeoise j ai donc mis de la cassonnade et j ai mis moitié noix moitié amandes. Et pour les pepites j ai pris du chocolat noir et du chocolat au lait patissier coupe en morceaux. Comme pour beaucoup de personnes la consistance de la pate était tres collante et du coup les 4 premiers se sont un peu écrasés. Pour les 4 autres j ai rajouté un peu de farine et ils sont restés énormes. Pour mon four 11mn de cuisson n étaient pas suffisantes. Le problème de l’étalement des cookies peut aussi venir de la différence de farine… Apparemment les farines vendues en Amérique contiennent plus de gluten que celle que l’on trouve en France. À voir ! 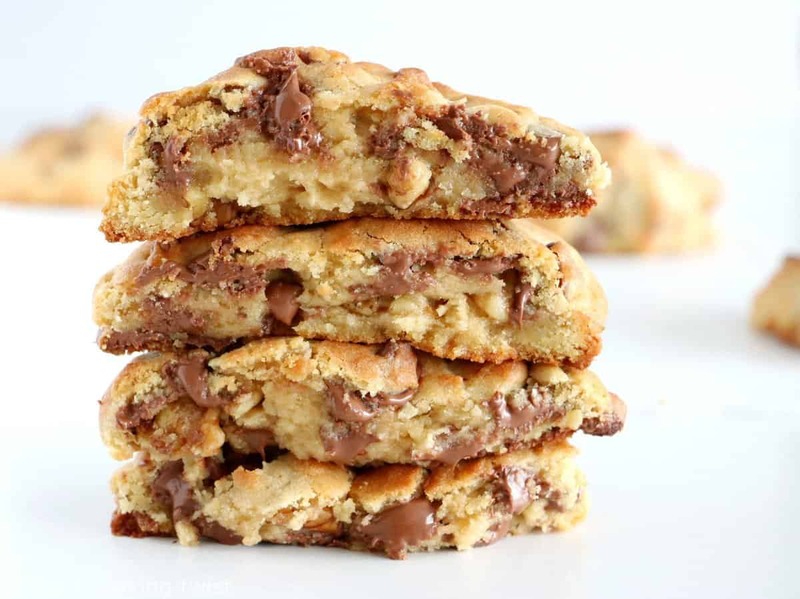 What brand of large chocolate chips/chunks do you prefer for this recipe? I’m planning to make this recipe this weekend but I’m scared to use a substandard chocolate. Bonjour Cathy! Réaliser des cookies de 50-60g revient ici à diviser la taille des cookies par 3. Malheureusement la règle mathématique ne s’applique pas systématiquement au temps de cuisson et je te recommande de surveiller simplement les cookies une fois dans le four pour se faire au mieux l’estimation du temps de cuisson exact. Je pense qu’on sera sans doute autour de 5-6 minutes, peut être 7-8. L’idée est de les retirer du four quand ils sont légèrement dorés sur le dessus ; l’intérieur du cookie restera mi-cuit mais c’est ici l’effet recherché. N’hésite pas à revenir vers moi pour partager ton expérience. Hello, they look super delicious! Thanks for the recipe. How do you make the top golden brown? Do you bake in a convection oven? I made some the other day but the top seems very light and middle still a bit raw. Merci beaucoup pour cette recette, elle est IN-CRO-YABLE, vraiment !!!! All my recipes are translated into English, just hit the “In English” button and the recipe will be there for you! Je n’ai jamais testé les cookies de Levain Bakery malgré quelques passages à NY. J’imagine que l’idée de faire la queue avec de jeunes enfants m’effraie un peu ! En tout cas, je les ai testés aujourd’hui, avec un peu de fond de placard soit du beurre vegane en plus du beurre normal pour arriver au total de 240g, de la cassonade grossière + de la cassonade finement moulue (j’achète en vrac et principalement du bio et je ne trouve pas de sucre blanc). J’ai finalement mis un mélange de très petites pépites de chocolat noir et de gros chunks. Ils se sont pas mal étalés j’avoue (le beurre vegan peut être) mais ils avaient ce côté croustillant-fondant tel qu’on le retrouve dans les cookies de Subway par exemple (dsl, on est loin de la référence fancy de Levain Bakery lol) mais en plus épais et c’était délicieux ! Je vais réessayer, c’est certain! Merci encore. Merci pour la recette c’était un régal ! La première fois j’ai divisé par deux les quantités pour tester mais j’ai mis 140g de beurre au lieu 120g. Mais ils étaient tout de même succulents et fondants à souhait. La seconde j’ai bien respecté les proportions mais j’ai testé une nouvelle version aux trois chocolats ( blanc, noir et au lait) avec des amandes torréfiées. Ce fut un succès : une symphonie de saveurs et de textures. Merci encore !